SKU: SC2122MP. Categories: Earrings, Mother of Pearl, Silver Sealife. 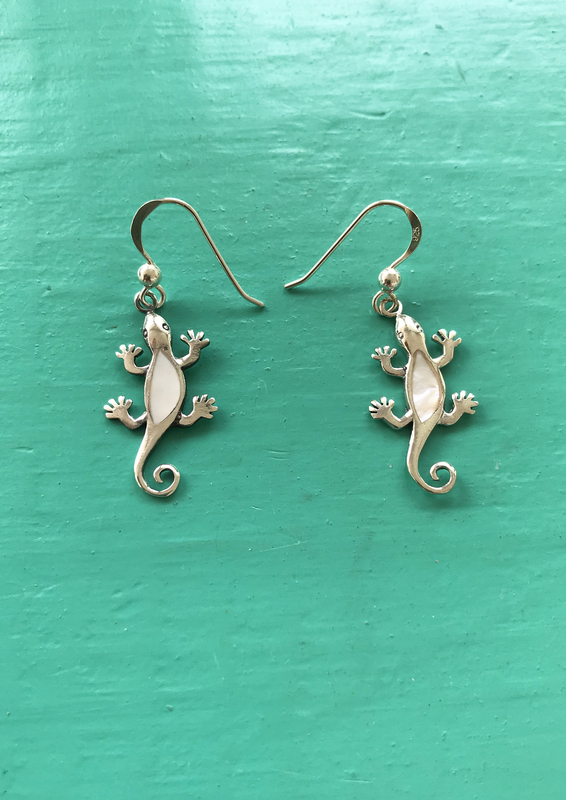 Tag: Gecko Mother of Pearl Drop Earrings. 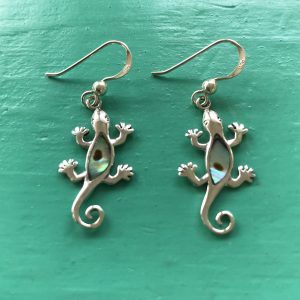 Gecko Mother of Pearl Drop Earrings. 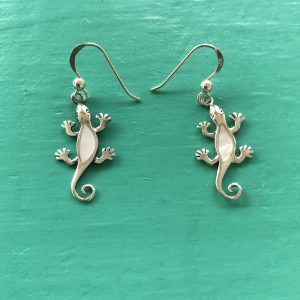 These are lovely earrings. Handcrafted with Sterling Silver inlaid with beautiful, irridescent Mother of Pearl. For those who love nature and wildlife. 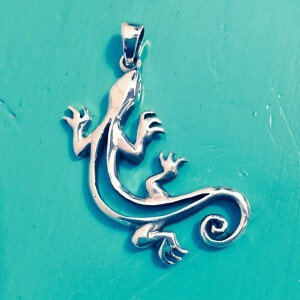 Geckos and Lizards are prevalent all over Antigua and the Caribbean. So though not Sealife we couldnt help but include some in our jewellery range. Geckos are regenerative creatures, as many reptiles are. They change their skin from time to time, which symbolically represent reincarnation. This process is of a great symbolical significance. 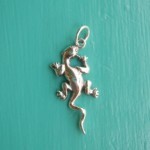 Geckos symbolize renewal, rebirth and fresh start.